Explore more colors with Kelir on shade colors, color harmonies, tint colors, analogous color, triadic colors and complimentary colors. 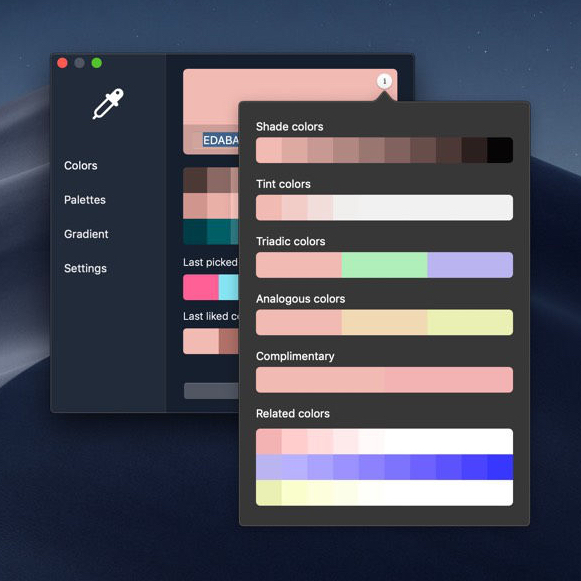 Kelir includes Palettes and Gradient as well. 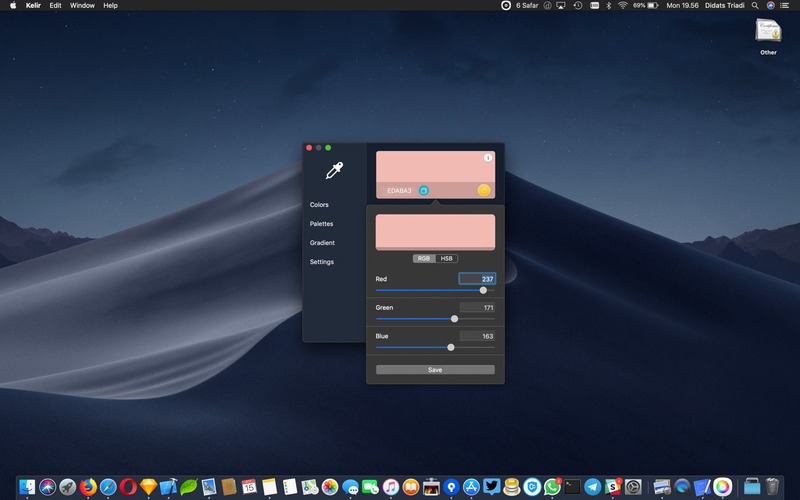 Fully support touch bar and Mojave dark theme. 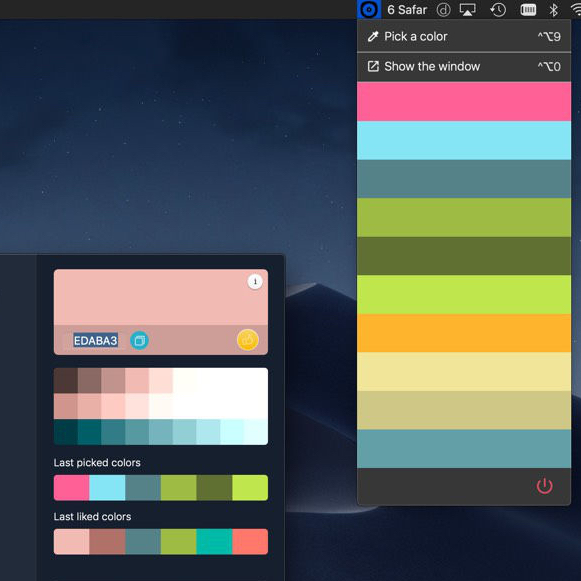 Kelir has almost all you needed on colors. Once you pick a color, choose from different kind of your picked color. From shade colors, tint colors, analogous colors, triadic colors and complimentary color. 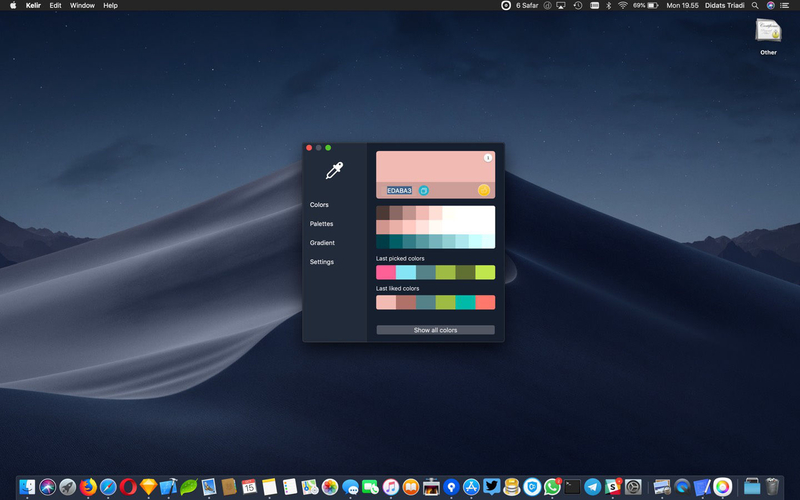 Kelir saved your picked and liked colors locally and sync to your iCloud account, and put it on the main page and menubar to easy access all the colors. 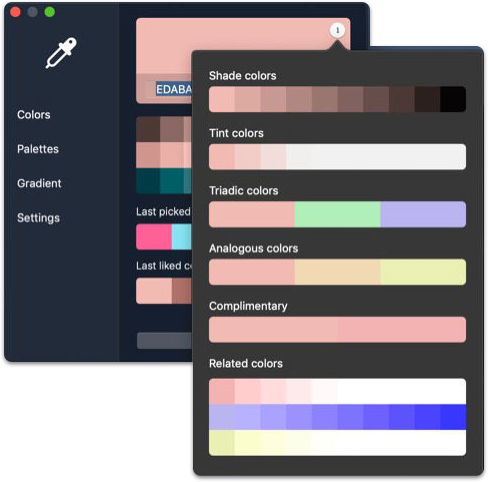 Create new palette with choice of 4 to 6 colors, save it locally, or browse all the palettes that other users created. 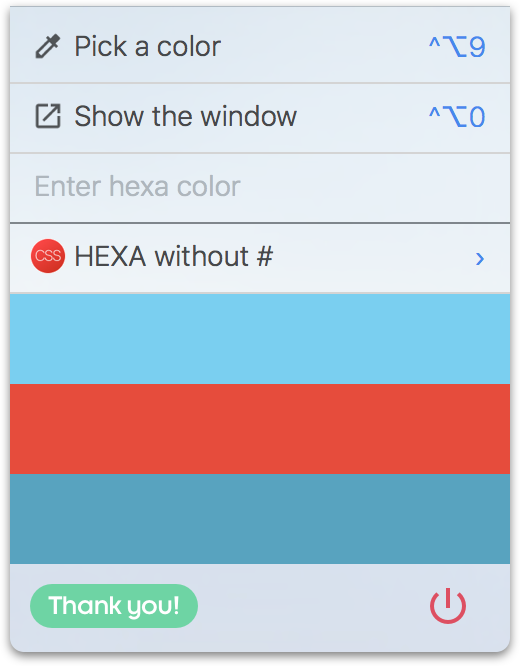 Export it to CSS, LESS, Swift, or Obj-C codes. 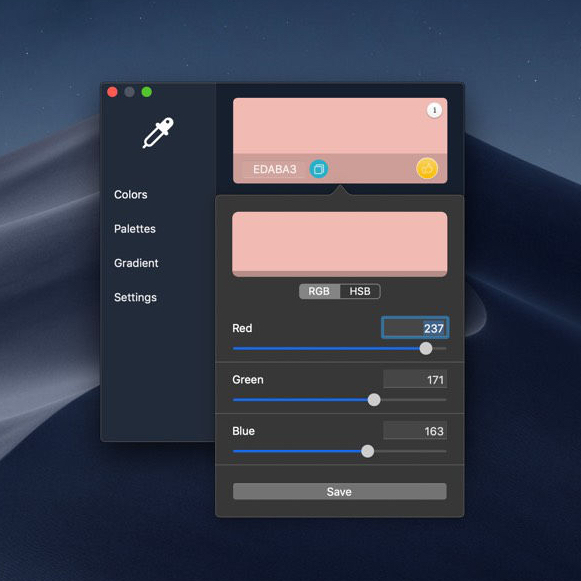 Create a gradient color with any direction. 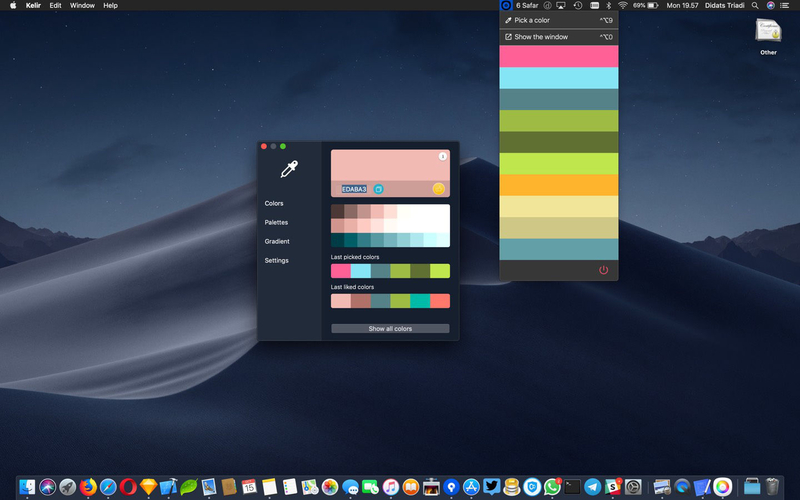 You may browse all the gradient colors that other users created as well. 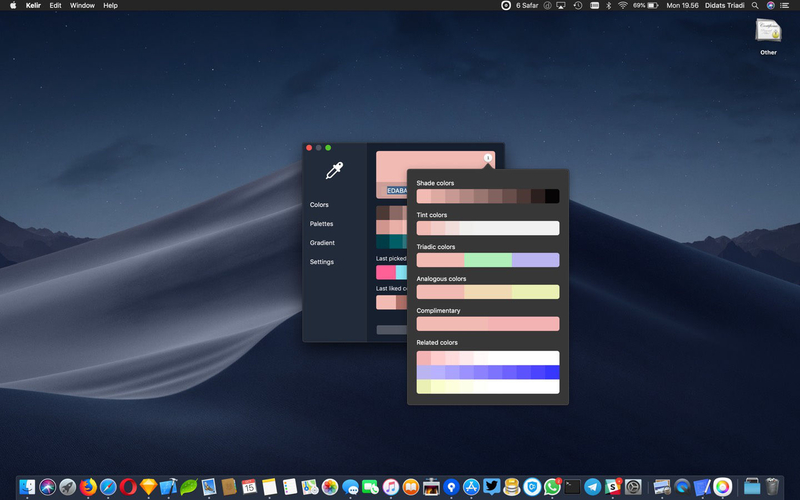 We understand dark theme become a trend in Mojave 10.14 now and we made Kelir automatically switch to the Dark theme once you activate it. To ease your works, we put Kelir where you could access the app from anywhere on your screen. 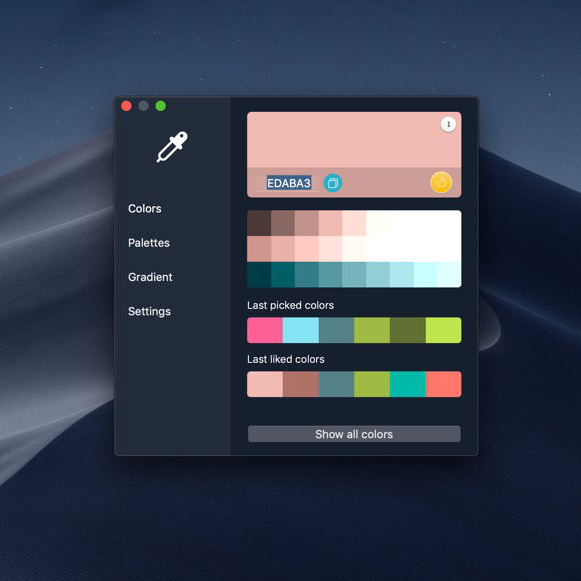 We also provide you with the shortcut, so you dont need a click anymore to pick a color when working with Photoshop, Sketch, or any other app you currently focus on. 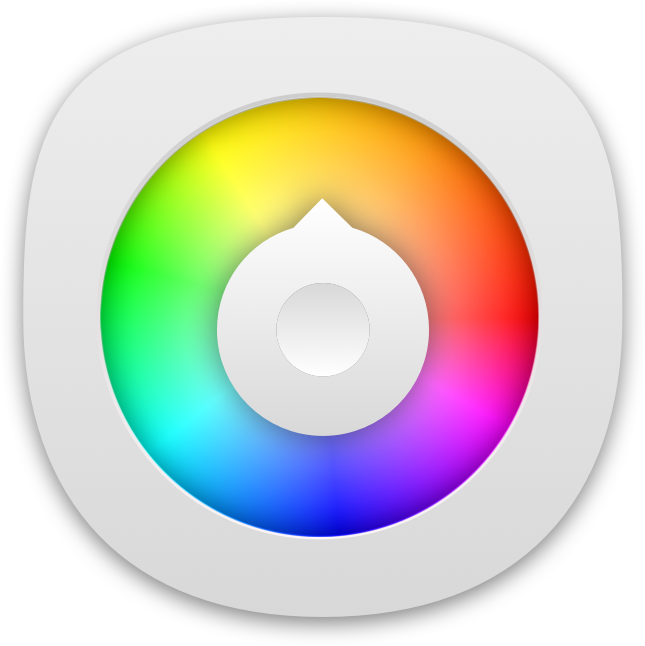 3 Generated color types, Android RGB, Android ARGB and XML Color code. There are 6 choices for you to take, NSColor RGB, NSColor HSB, Both NSColor Device RGB & HSB, and both NSColor Calibrated RGB & HSB. Few things to get you confident to download Kelir right now.